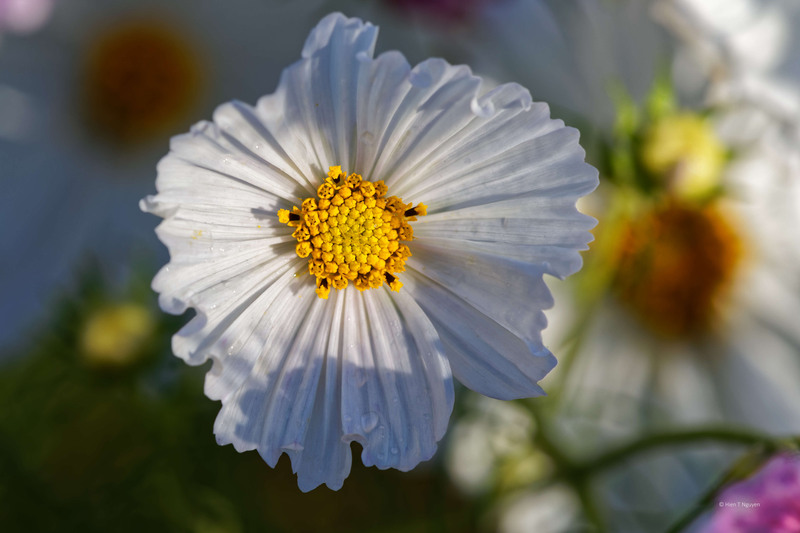 This morning I went back to the organic farm near home to take more photos of Cosmos flowers. 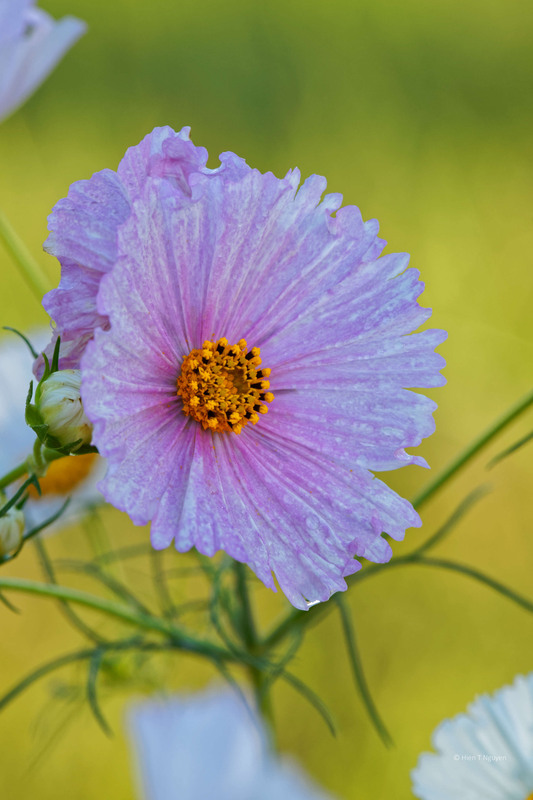 The weather is getting definitely cooler, and frost will soon kill every plant, so this may be the last Cosmos for this year. Dew was still hanging on to the flowers, but that only added to their beauty. Meanwhile, back home our Cosmos flowers had a burst of blooming, sending up about a dozen flowers. Those are so beautiful – and very poignant, being a last song of the summer. Such a beautiful, delicate flower and you’ve captured that in your images, Hien. Thank you Pieter! I corrected the typo and deleted your correction. Beautiful flowers! 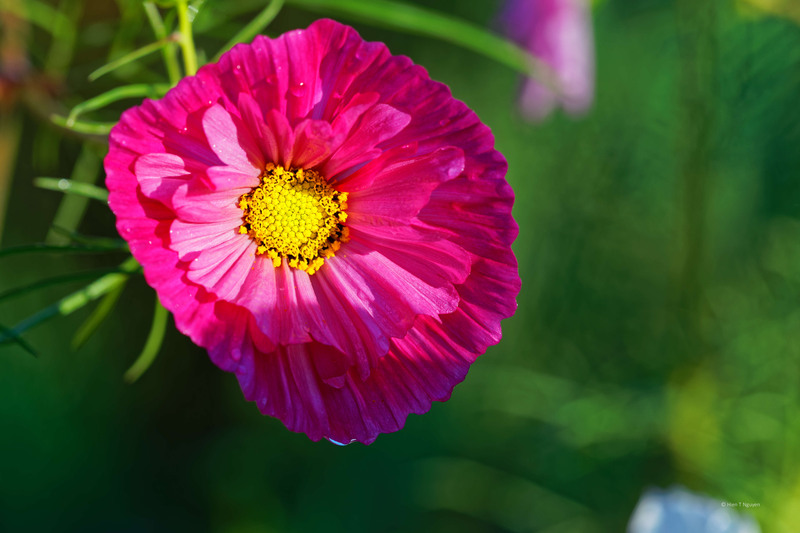 I love pink cosmos although I don’t find them as easy to grow as the orange ones. Thank you for commenting, Sue! I don’t have any orange Cosmos, and may try them next year. Beautiful! Will the farm let you collect a few seeds from each plant? The lower stems must have seeds ready to harvest. That way you’ll be sure to get the same varieties. Worth a try! Thank you for that excellent idea, Eliza! I will stop by and ask the farm if they will let me collect a few seeds from their Cosmos plants. Thank you Doda! 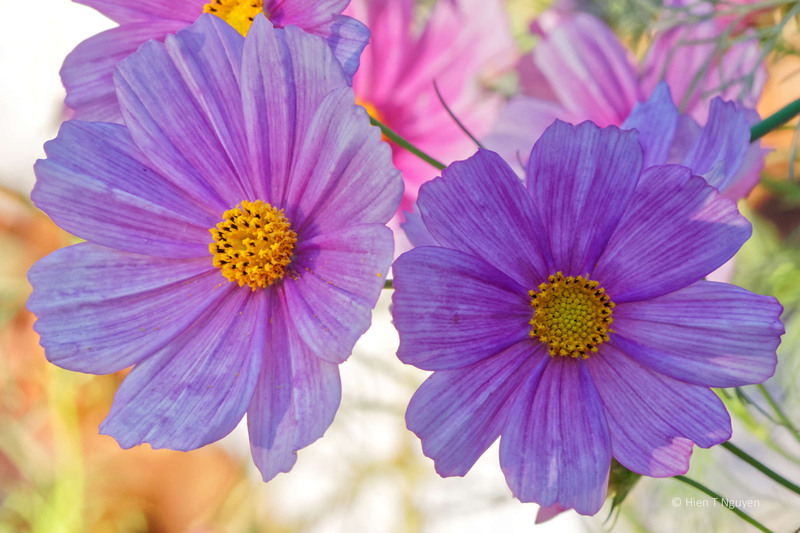 That Cosmos meaning in your language is perfect for these flowers. Absolutely!That’s what I thought,dear Hien. It wouldn’t bother me a bit if you shot several thousand images of the cosmos before they are killed by the frost, then posted a few of the images over the winter to cheer us up with your wonderful photos of them! Jerry, you are right, they are very happy looking flowers. I planted some by our driveway and they cheer me up in the morning when I leave for work, and in the afternoon when I come home. Next year I plan on trying out the heirloom varieties. I love Cosmos too. I had never seen the heirloom ones you posted, they are beautiful! I had never seen them either, until last week. Such beauty! 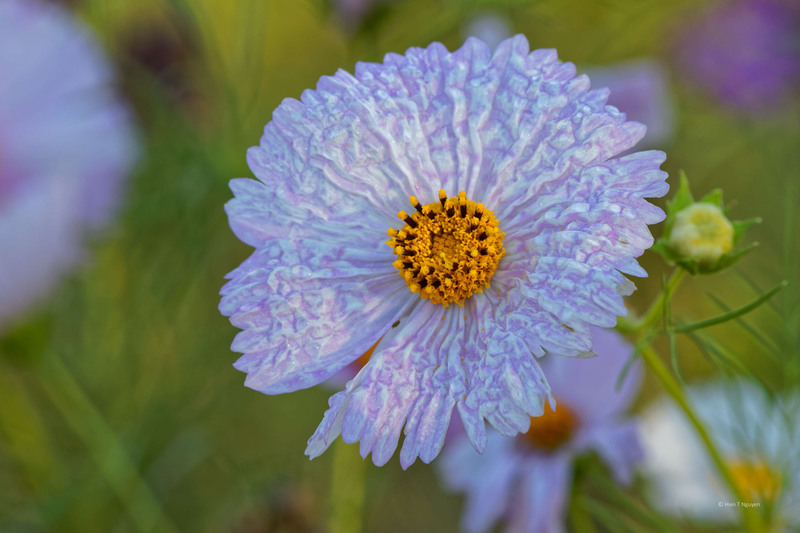 The Heirloom Cosmos looks like it’s gowned in luminous lace. Thank you! That lacy one was very unusual. I wonder why it evolved into that texture. Beautiful flowers and photos. I love how fluffy and lacy the Heirloom Cosmos look. 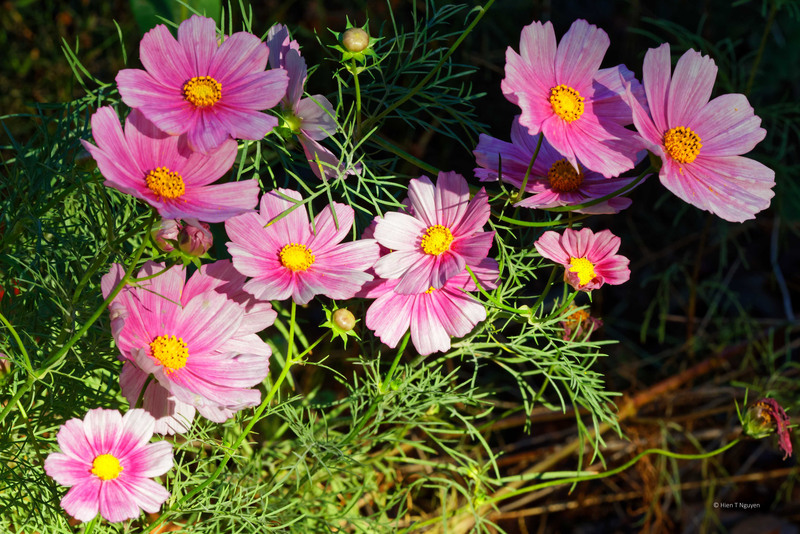 I love cosmos flowers. Simple yet elegant. Thank you for sharing these!